FDA strongly encourages electronic submission of establishment registrations and product listings through the FDA Unified Registration and Listing System (FURLS) which can be accessed here. FURLS is only used to register an establishment and submit a product listing. Do not confuse this with the CTP Portal, which you can use to submit other regulatory document (e.g.,ingredient reports, health document submissions, etc.) To obtain a FURLS account and to view more instructions and webinars see here. Alternatively, you may file your Establishment Registration manually by filling out and Form FDA 3741a and mailing all of the necessary materials to CTP’s Document Control Center. View FDA’s latest Webinar “Using the Tobacco Registration and Listing Module of FURLS – Tips and Recent Enhancements” here (published September 18, 2017). Despite the fact that the Form 3741a and the template FURLS product listing spreadsheet provided by FDA allow companies to indicate whether a particular product is for “Consumer Use” or “Further Manufacturing”, FDA’s revised guidance clarifies that the listing requirement only applies to finished tobacco products sealed in final packaging intended for consumers use. This includes components and parts sold directly to consumers in final sealed packaging. For example, an e-liquid sold in a sealed bottle for use by consumers in an open-system device would be a finished tobacco product, but an e-liquid intended to be filled into a closed system cigalike would be for further manufacturing, and should not be listed. 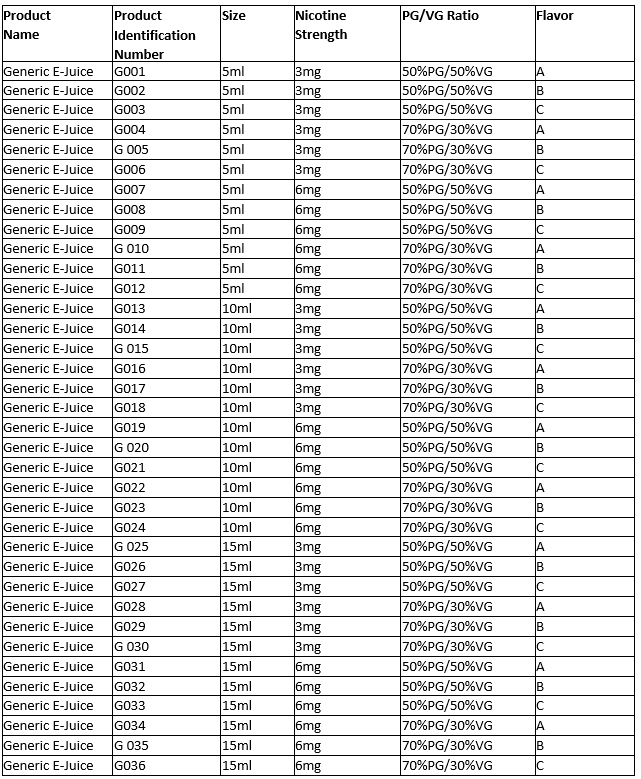 For the product list, FDA’s template product listing spreadsheet (available in FURLS) should be used, particularly if you are processing the registration online through FURLS. The spreadsheet identifies the information that must be submitted for each product, e.g., product identification number (SKU), intended use (consumer use), product category (ENDS), subcategory (e-liquid), open/closed system, flavor, and advertising, labeling and consumer information. 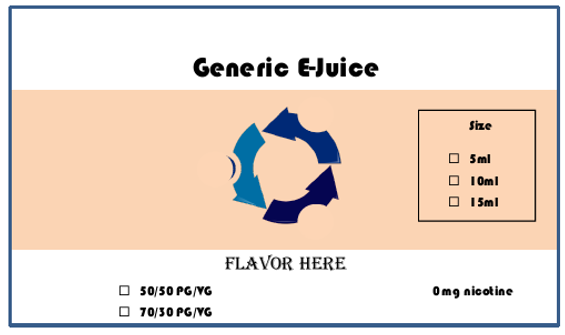 Please note that each unique product must be identified on your product list including, for example, e-liquids under the same brand or flavor that vary in terms of package (e.g., bottle) size, nicotine strength and/or Propylene Glycol (PG)/Vegetable Glycerin (VG) ratio. In order to reduce the amount of uploaded labeling submissions, FDA does not, at this time, intend to enforce the requirements that owners and operators submit the labeling for each individual listed tobacco product if the registrant submits the information that represents the labeling for a selected line of products. 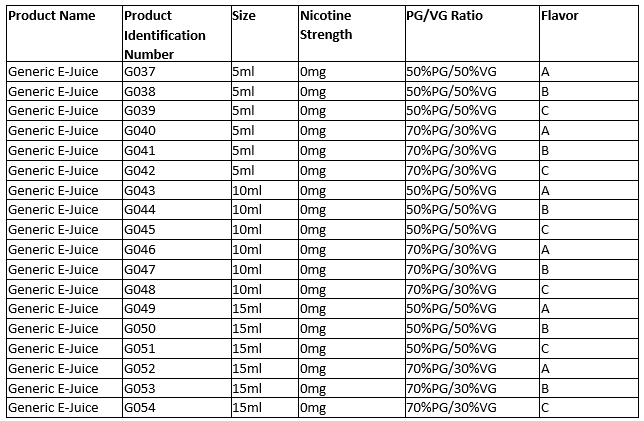 In deciding whether a registrant’s submitted information falls within this compliance policy, FDA may consider whether the tobacco products’ labeling is essentially identical (e.g., the same formatting, fonts, colors, background text, and images) and whether the variations are limited to package size, nicotine strength, PG/VG ratio, and flavor. However, we recommend that zero nicotine formulas of a product, or product line, be grouped separately from products with nicotine. Rather, as described in Appendix A to the revised guidance, registrants may submit a separate “package label plan”, which is a model/generic product label with placeholder text for the specific variations, along with a “product variation index” which lists all the variations for a specific product, e.g. package size, nicotine strength, PG/VG ratio and flavor. The product variation index must list all combinations of the variations that will be using the model label. The examples from FDA’s revised guidance are copied below. What about advertisements and “consumer information”? Finally, we note that despite previously implying that this information was optional, FDA’s revised guidance states that if product advertising exists, a representative sampling of such advertisements must be provided with the product listing. FDA interprets “a representative sampling of advertisements” to mean typical advertising material that reflects the full range of promotional statements made for the tobacco product. For example, if more than one magazine advertisement is used, but the promotional content is essentially identical, only one need be submitted. FDA’s revised guidance further notes that, in addition, the product listing must include “a copy of all consumer information” to the extent the information is not advertising and has not already been provided as a form of product labeling. Consumer information does not include information directed at wholesalers, distributors or retailers where such information is not available to consumers (e.g., product specifications intended for manufacturing purposes, photos of components or parts not intended for individual sale, or communications between companies), but may include items like consumer brochures.